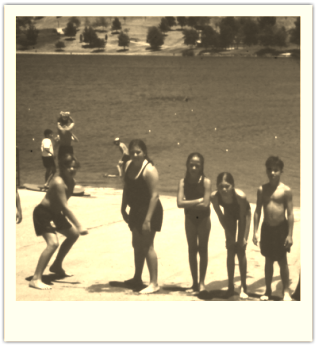 The Castaic Lake Junior Lifeguard Program is run by the Los Angeles County Department of Parks and Recreation Lake Lifeguards. Established in 1990, it has grown into one of the most successful summer children’s programs in Los Angeles County. The program offers a wide range of activities for children ages 9 to 17. These activities include swimming, kayaking, snorkeling, and training in lifeguard skills. In addition to these activities, participants are also taught skills in Basic Lifesaving, CPR, First Aid, and Search and Rescue. 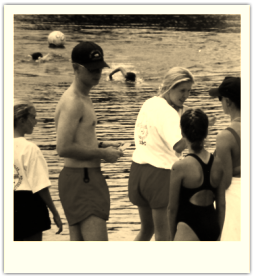 All sessions are taught by highly trained Lake Lifeguards, overseen by our Junior Lifeguard Program Director. One of the program’s main objectives is to instill self-confidence in each individual through knowledge, discipline and a competitive atmosphere as well as increase physical fitness for those taking part in the program. Started by LA County Beaches back in 1938 with 10 participants. The Castaic program was started in 1991 by Michelle Scholz. In 1992 the Bonelli program was started by Tracy Hild and Santa Fe was started by Jeff Halbe. The program has grown from 20 participants to 400 at Castaic.